Thirteen years is a long time to wait. While that time has not gone without other games in the series, the Kingdom Hearts franchise has gone a long time without a numbered entry. For the sake of context, I had only recently jumped into the deep end that is the Kingdom Hearts franchise, only having dabbled in the previous numbered titles on PS2. I had a lot to take in. The beginning of Kingdom Hearts 3 is a showcase of how the next batch of worlds play out: Sora and friends take to the situation at hand to thwart what plans Organization 13 has for that world. In these early worlds, the Disney influence is whole-fully apparent. In fact, Final Fantasy has only the most minute references here. 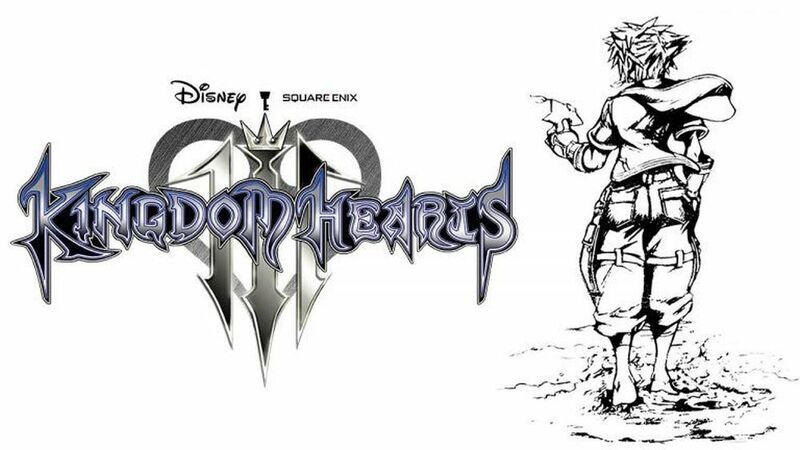 Sora moves from place to place, helping out Disney characters along the way to defeat the looming darkness. Disney is part and parcel a major conceptual aspect of Kingdom Hearts. The pros and cons, depending on your preferences, is that the core narrative behind Kingdom Hearts often takes a back seat until much later in the game. 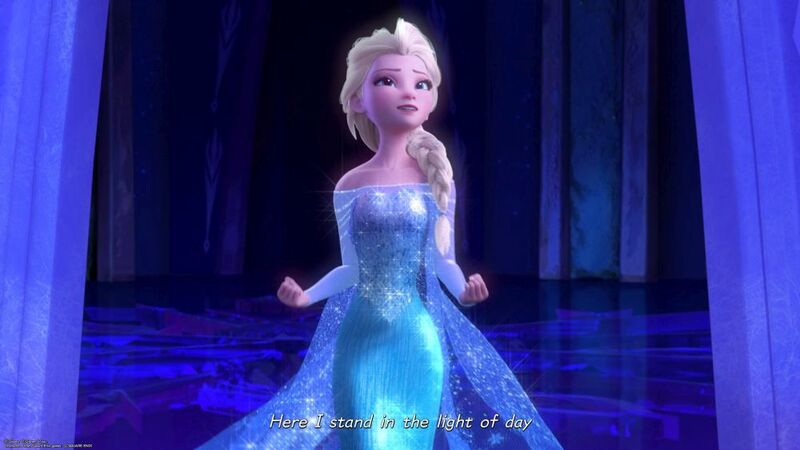 This could be welcome to some players, as the Disney bits resonate with many people. To others, such as myself, wading through these bits proves taxing at times. Indeed, I had moments where Disney swept me away as a few of my favorite characters took center stage. I also had entire worlds where I just wanted to move on. This part of the game is entirely relative to each person. In the second half of the game, however, the full Kingdom Hearts mythos begins to piece together large chunks. I could never in a million years consider myself an expert in the Kingdom Hearts backstory, but I still found payoff. My favorite characters had moments in the limelight. I felt emotion as secrets and references made themselves known. The downside to all of this is that there are so many moving parts leading into the final battles that something will be missed. Where KH3 takes the cake is in its combat. Sora, Donald, and Goofy all learn abilities as they grow, and new Keyblades offer different ways to fight. Combat is as accessible and streamlined as it has always been. Each Keyblade has unique attack sequences, called Formchanges, themed around the source material on which the Keyblade is based. I found myself sticking with specific ones, simply because their stats and mechanics fit my playstyle. A lot of thought went into these Formchanges, which is welcome and refreshing as you explore them. However, I have one gripe I wish to mention on this front. This comes from a person who loved the customizability of combat found in the PSP game, Birth By Sleep. There, I could learn abilities on paths I preferred, giving me a real sense of custom gameplay catered to my play. Spells were craftable, and I also had opportunities to create character abilities by synthesizing magics. That kind of depth really brought me into the game, and the franchise, as a whole. Kingdom Hearts 3 is nowhere near as immersive. Each character learns a long list of abilities to help create a more interactive combat experience, but earning those simply comes from leveling. I would be lying if I said that I hated this aspect, though. Learning key, game-saving abilities without having to invest time and energy into farming or creating skills and items gave me what I needed to keep going strong from start to finish. This sense of progression feels natural, transforming combat from a basic Cross-Button mash to something more engaging. Still, in hindsight, I miss that level of investment I had with Birth By Sleep. This is far from game-breaking, as Kingdom Hearts 3’s offering are wholefully organic. I just didn’t have to think about what I was getting. It simply happened. The benefit to this approach is that it allows everyone to uncover the same general experience. Nothing keeps the player from reaching the potential the game has to offer. Following up on this theme is how easy the boss fights are in general. Some outliers exist, but there’s nothing too incredibly challenging. With my experiences with the franchise, the numbered games tend to follow this pattern, while the side games explore new elements and mechanics. Gameplay itself is smooth and gorgeous. A few times, when tons of chaotic things occurred on-screen at once, frame rates dipped on my PS4 Pro. These were few and far between, however, at least on PS4 Pro. The music takes center stage quite often as well. So much of this franchise is based in its music, whether it comes from Disney itself or the talented Yoko Shimomura. Voice acting is much better this time around when compared to Kingdom Hearts 2. One example is Jack Sparrow. He is far less lackadaisical here, and the voice work hits the right tones and effects more often than not. Kingdom Hearts 3 is ear candy, outside of Donald’s bleating, of course. 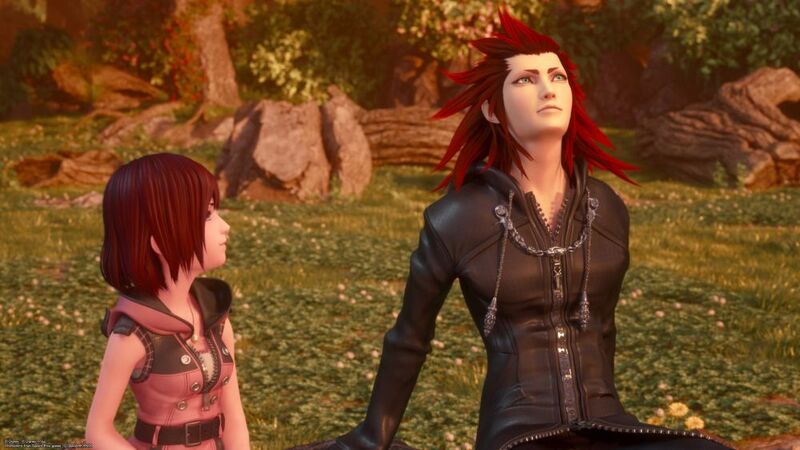 All in all, Kingdom Hearts 3 is the deep end of the pool. The narrative as a whole is not too terribly difficult to navigate from start to finish. 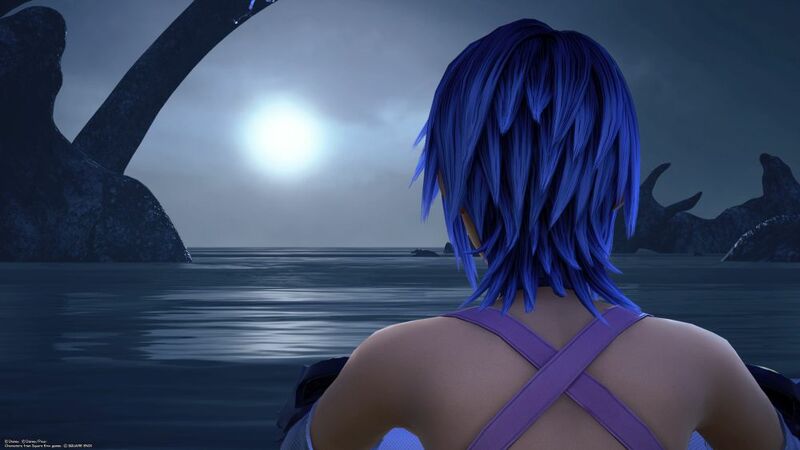 For fresh eyes, however, Kingdom Hearts 3 is the equivalent of looking into a future with the craziest outcome and having no idea how you got there. Equally so, there is enough here for everyone to find something worth seeing. Main characters are memorable, with top-notch voice acting to really bring them home. For Disney fans, there is more than enough to keep you coming back for more. Entire worlds follow specific characters, and special attacks allow you to jump on Disney Resort rides to fight enemies. This is an absolute must for Disney fans. Die-hard Kingdom Hearts fans have a lot in store for them as well. Questions find their answers, and more questions surface in their place. This franchise casts a long shadow. Each game extends the world and history even further, and Kingdom Hearts 3 follows this tradition. Plenty of questions find resolution, and the overall payoff is satisfying. By the time credits roll, I promise that you will be in wanting in the best way. Kingdom Hearts 3 has everything a title could want: iconic characters, enthralling and accessible gameplay, and a story that just won’t quit. Depending on your knowledge level, loose ends are almost guaranteed. The ride itself is more than worth the price of admission. And hey, if you end up getting invested in something, even if you don’t quite understand it, what’s the harm in that?